Best Seller Publishing announces the release of Glen Dunzweiler’s new book, “Things I’ve Learned From The Homeless.” It will be available for free download in the Amazon Kindle Store on August 6th. “Things I’ve Learned From The Homeless” looks to explain the world that housed individuals are often frustrated by. The goal is to flip viewpoints on homelessness, to create new dialogues, and to inspire action. Glen Dunzweiler invites you to get into it with him, so we can all start to figure this out. • Make you want to DO something? 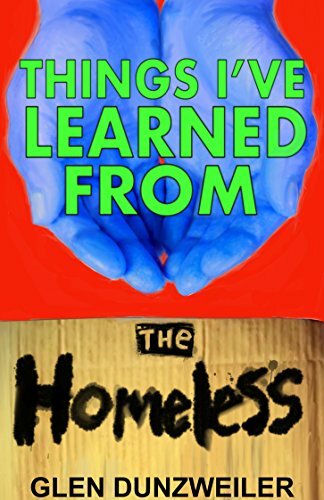 “Things I’ve Learned from the Homeless” by Glen Dunzweiler will be free and available for download on Amazon for 5 days (08/06/2018 – 08/10/2018) at: https://www.amazon.com/dp/B07FDP7L4Z. “This is almost, or is, a companion piece to Dunzweiler’s documentary “yHomeless?” It’s a fast and interesting read. The thing which strikes me most about this book is that the author offers no concrete solutions to the issue - just his insights after having lived in his car for a month to research homelessness, and interview the homeless. The idea he puts forth is that we can’t treat them (the problem) with a singular solution because the homeless are out there due to very different circumstances. We, therefore, should learn to treat each individual as an individual. Huh…what a concept, eh? “Respect for others is another common thread, and it makes sense. Who wants to be disrespected? His first career was as a production designer and professor for Universities (UNLV, UCR, and CSUSB). In 2008, work furloughs caused him to call his bank to try to renegotiate his house payment. When his bank informed him that they would not talk until he stopped paying, he realized that they were asking him to make himself financially vulnerable and potentially homeless. This led him to research homelessness in this country and thrust him into filmmaking. In 2015, because he couldn’t figure out how to get his documentary seen by the public at large, he moved to LA to focus on the business side of entertainment. After finding distribution for “yHomeless?” and while developing his next film (a biopic about an ex-student), his early background as a performer (a drummer and actor) eventually pulled him back on stage to share the insights he has gained while 1. working with the homeless, 2. navigating the differences between academic and business success, and 3. producing visceral entertainment and presentations. Soon, Glen will also be hosting a TEDx talk for TEDx Willmington.